With Toggle Diffuse you can turn on and off all scene materials. It supports all Max's (except MentalRays)materials, plus VRay's and ThinkingParticle's. The avandage is that it searches through the materials' and maps' tree to turn on the first map that has an option "Show in Viewport". 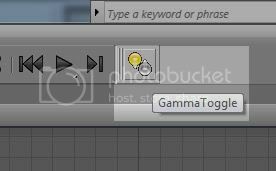 This is a simple script to facilitate the work of users, it creates a shortcut to be placed in the inteface of the 3ds Max for turning on or off the gamma 2.2. The gamma adjustment is pre-configured but can be easily changed according to the needs of each user.